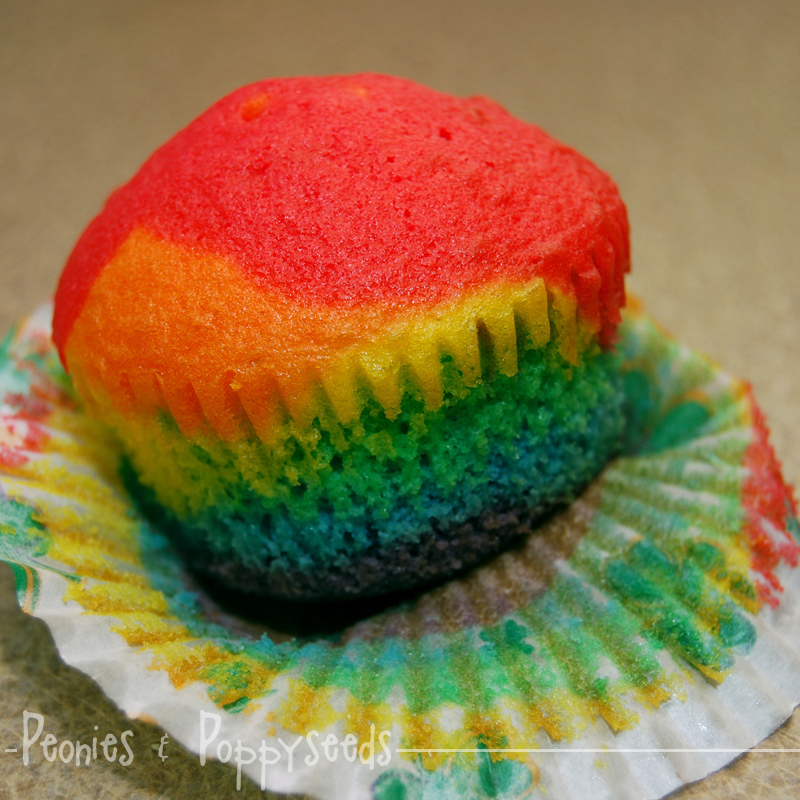 I have seen these cupcakes around and I thought I would, for sure, mess them up if I tried making them. But they were actually really super easy. Prepare a white cake mix according to the instructions on the box. Separate the mixture into 6 bowls, and die each of those bowls a different color. Make sure you have these colors: red, orange, yellow, green, blue and purple. Line a muffin pan with baking cups (I used four leaf clover ones). Pour the mixture into the cups in this order: purple, blue, green, yellow, orange and red. I suggest pouring one color in all the cups before moving on to the next color. Also, you should probably smooth out each layer a little with a spoon before you pour the next layer. 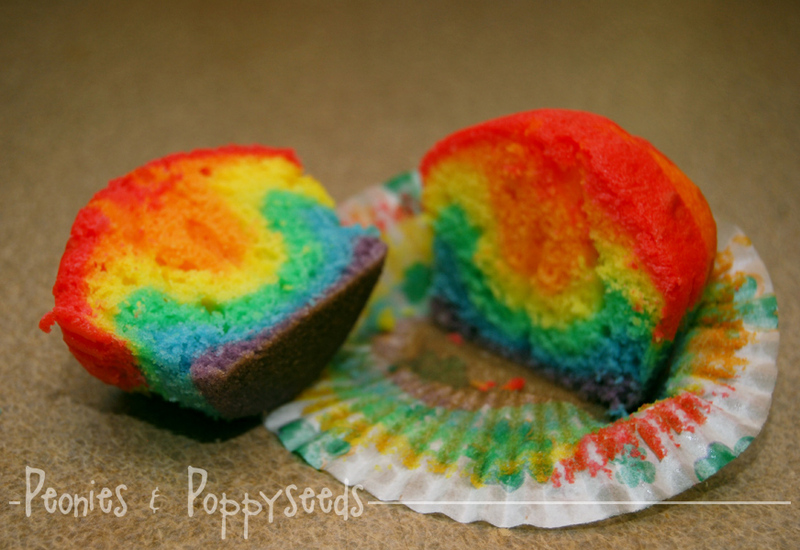 Bake the cupcakes according to your cake mix directions. They may look funky on the tops, but the insides are FAB-O. 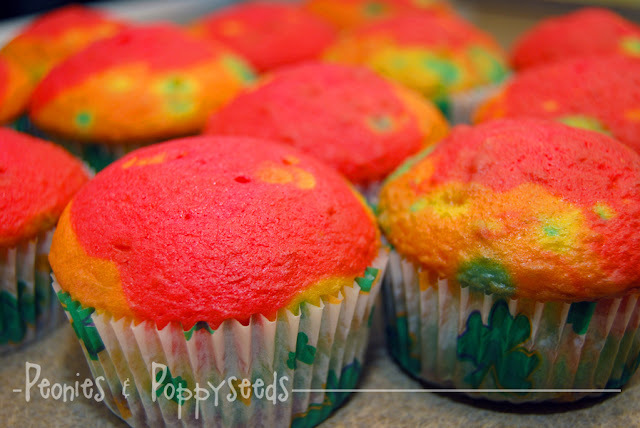 I was going to send these to school in a big pot with the cupcakes on top of a pile of gold wrapped chocolate coins. But I couldn't find chocolate coins in any of the stores near me (although, why? I don't know) and I didn't have a leprechaun-y enough pot. But the IDEA is awesome. And I give you permission to use it.